For some people every day is a cat day, but guys today it’s official. Yes, October 29th is the National Cat Day- the authorized global holiday to adore and show off your love for cute kittens. Besides that, it’s also the National Internet Day and as we all know large number of internet content is feline-related. 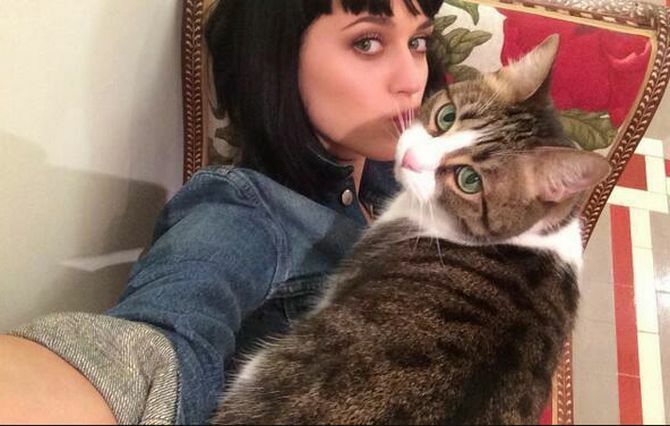 Even Hollywood celebrities cannot resist poping up on the Internet with their beloved cats. 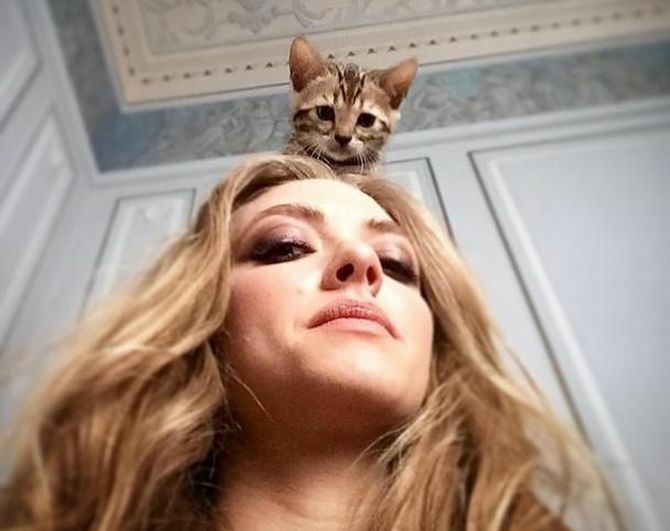 Yeah, many of your favorite stars are crazy about cats just like you and this has been proven repeatedly on cyber space. So on this official cat day, here are some of the biggest Hollywood feline fanatics posing for you with their munchkins. Just sit back and enjoy the furry meow mix! Taylor Swift always flaunts her stylish cat Olivia on social site Twitter, so how could she miss out this special day. Taylor and Katy Perry may be ultimate frenemies, but they share one common passion that’s love for cats. 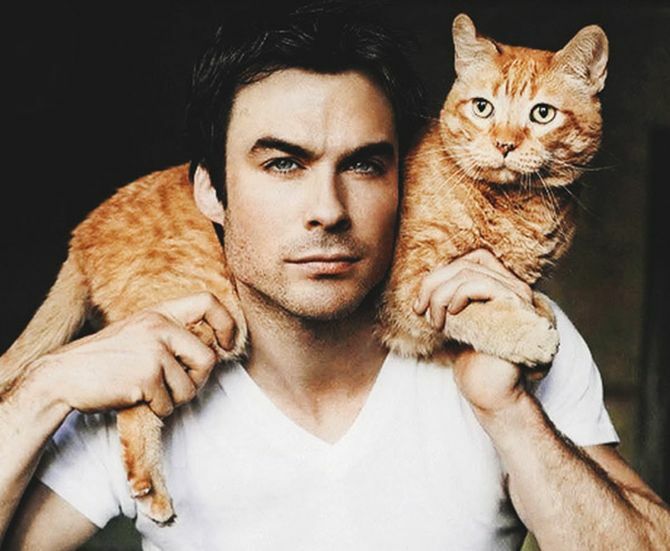 He may play reckless vampire on CW’s hit series Vampire Diaries, but in real life he is really softhearted and absolutely love cats. Talking of Vampire Diaries, how can we forget the leading lady Nina Dobrev. She is a crazy cat lady and loves to pamper her kitty all the time. 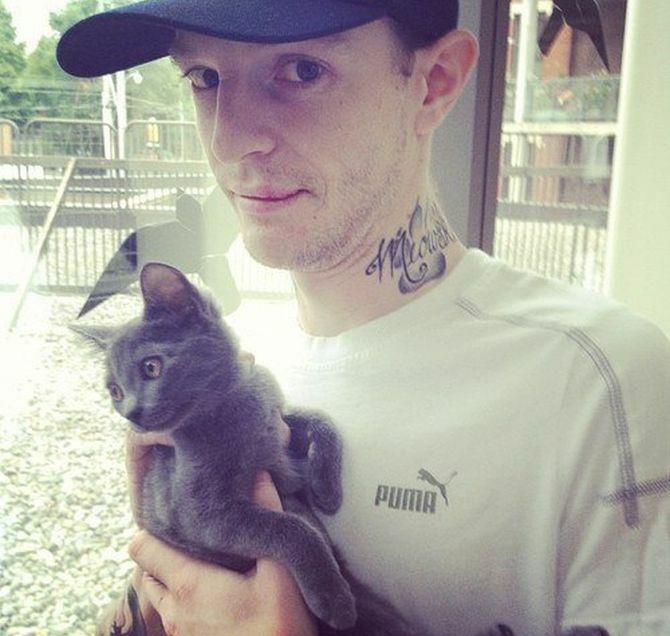 Music producer Deadmaus5 loves pampering his kitty. Catch him with the cute little grimalkin here. 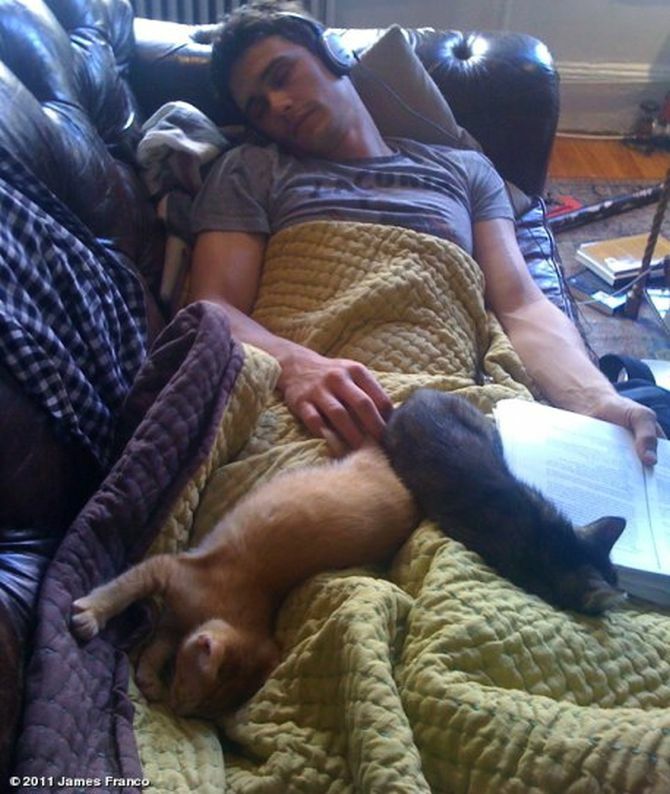 Check out James Franco lazing around with his two darling cats. This is the cutest photo ever. 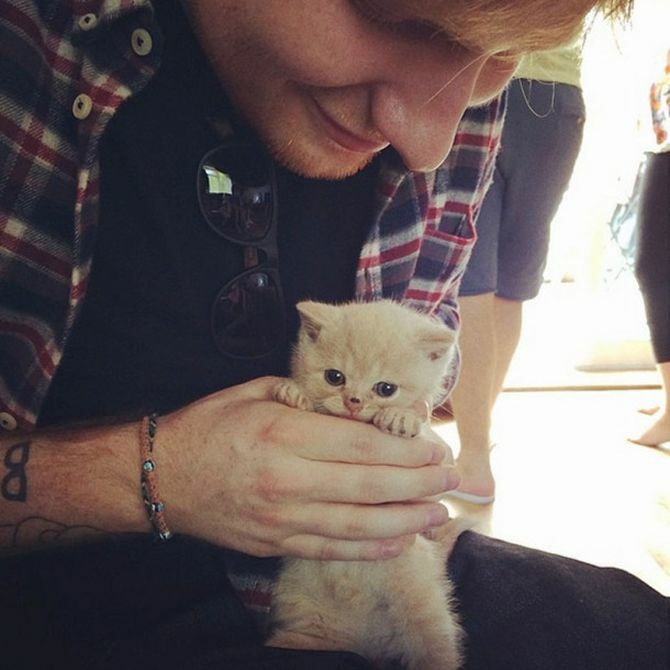 Ed is another celeb who is totally Team Cat. His dainty little kitty will surely melt your heart. Beautiful Amanda posing with her innocent feline friend, saying ‘Hello’ to their fans out there. 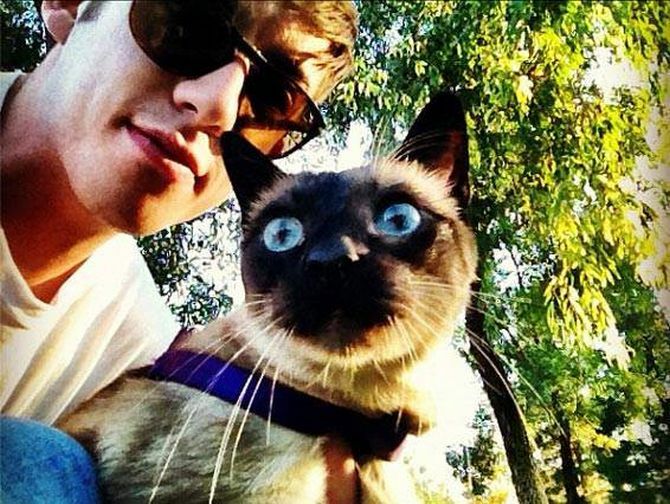 James is another celeb cat, just look at those attractive blue eyes. This one is truly a furry gem. Kourtney herself is wearing a mouse-like dress and posing with her fluffy feline for you. In a neardy look, Gustin is flaunting his love for cats. You can clearly see his love for this cute kitten in the picture below. 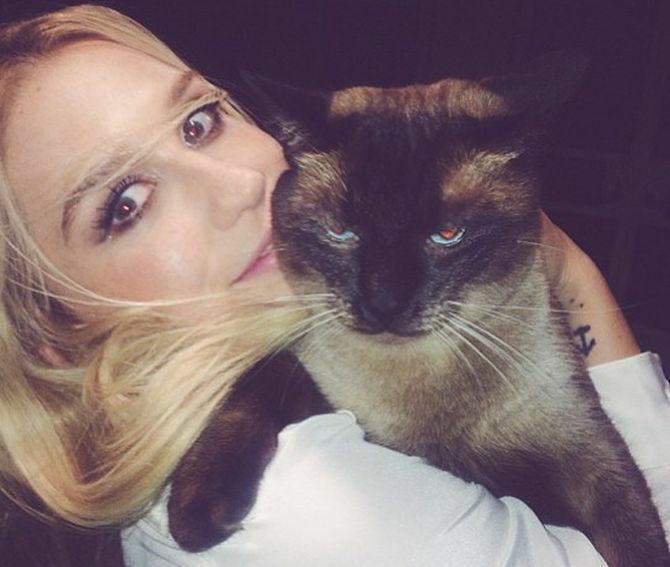 Kesha’s Siamese cat is the ‘king of glitter,’ and her best friend who is inherently adorable. He is a total cat lover and simply adores his kitty as much as any feline enthusiast. 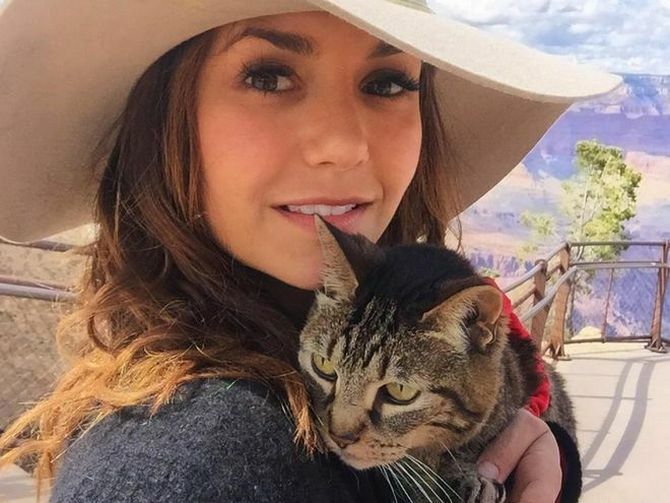 Even Jenna is in the club of crazy cat lovers. Check out how she relishes this charming fur ball in the picture. 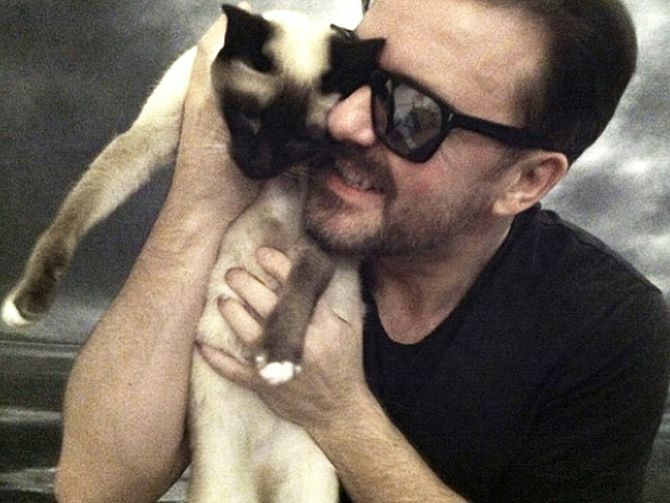 Ricky loves his cat and often flaunts the beautiful cat in many of his pictures found on internet. So, these were some of the popular Hollywood cats that live in style, just like their proud owners. Who pose better for shutterbugs? 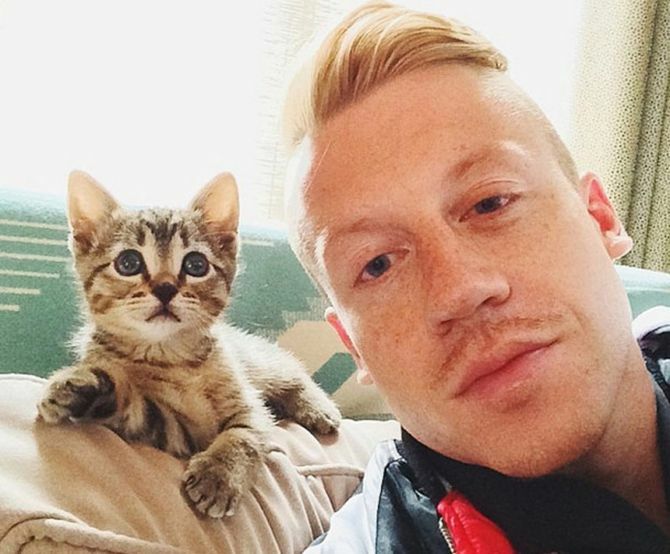 Your favorite celebrities or their cute felines? Do share your opinion in the comment box below.